Sweden's SISTER have launched a brand new music video for one of the most vitriol- filled cuts from their latest album, Disguised Vultures. "Slay Yourself" was filmed at venues in Sweden and Finland and captures the sweaty and raw energy unleashed on the club stages on that tour. Watch the video now right HERE. SISTER has confirmed an appearance at the Peace And Love Festival in Borlänge, Sweden on July 5th. More tour dates for Europe are in the works and will be announced soon. Visit sisterofficial.com to stay up to date with the band. 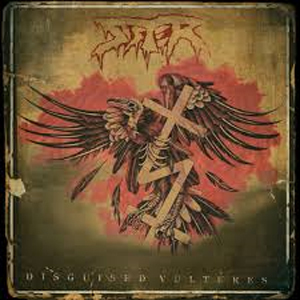 Disguised Vultures emphasizes what the band is all about: heavy, raw sound and attitude. Fans will find plenty more of what Revolver Magazine described as "a genre-bending amalgam of street punk attitude and glam-inspired melodies" on this new album.